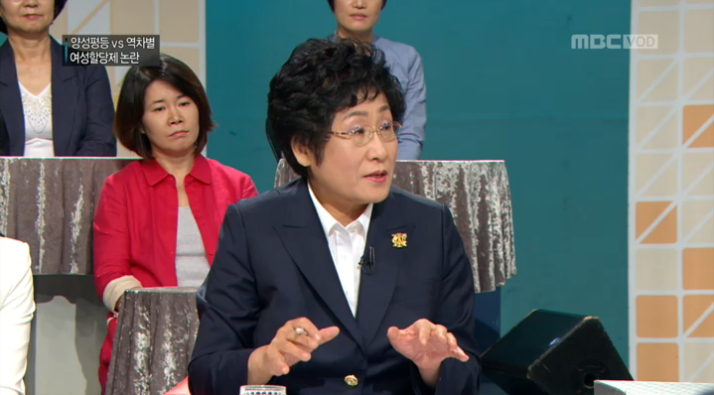 President Kim, Jung-sook of the Korean National Council of Women participated as panel in the MBC live broadcasted “Women’s Debate WITH” at 11am on June 2. 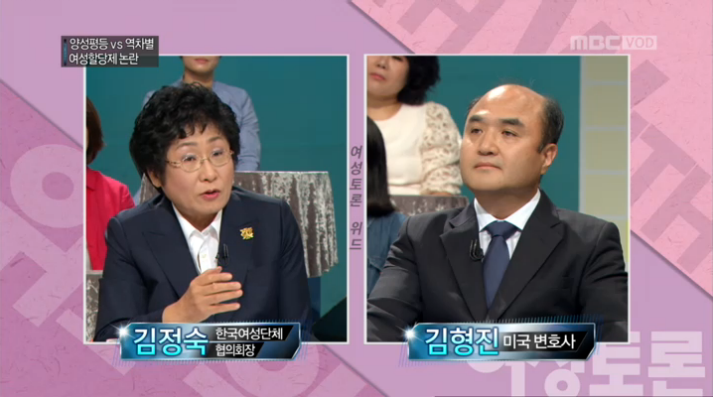 The theme that MBC “Women’s Debate WITH” which is live broadcasted at 11am every Monday dealt with was: “Women’s Quota System, is it for gender equality or is it another reverse discrimination!” President Kim, Jung-sook, commentator Kim, Sung-soo, Professor Kim, Sung-eun of Kyunghee University Department of Management, and Attorney Kim, Hyung-jin participated as panel to carry out a heated debate. 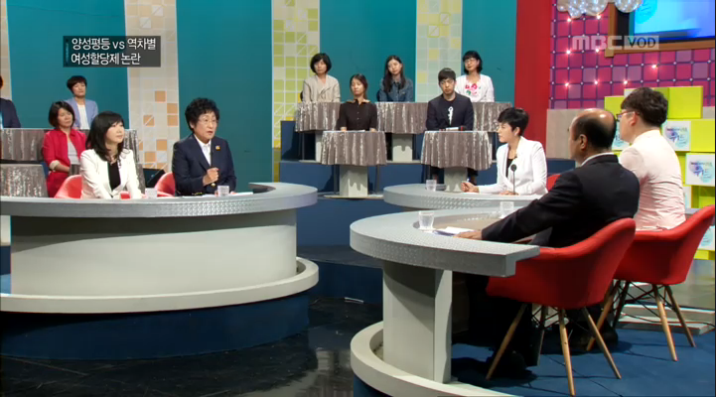 President Kim, Jung-sook who participated in the debate on behalf of women’s organizations said that women’s participation should be expanded in politics to realize advancement of politics, and under the current social situation and political conditions, women’s political participation can be activated only when women’s quota system is introduced as a binding measure.